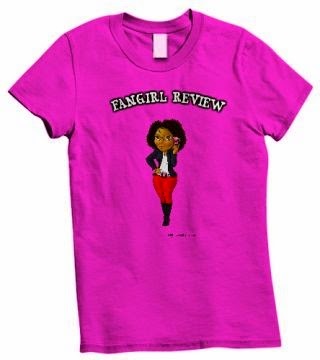 Fangirl Review: “PLANTS VS. ZOMBIES” BOXED SET COMING FROM DARK HORSE! “PLANTS VS. ZOMBIES” BOXED SET COMING FROM DARK HORSE! Just in time for Halloween, Dark Horse Comics and PopCap Games are releasing a spooktacular Plants vs. Zombies™ boxed set collecting three critically acclaimed graphic novels! Eisner Award–winning writer Paul Tobin and artist Ron Chan deliver hilarious, action-filled zombie romps to your neighborhood as young adventurers Patrice Blazing and Nate Timely join forces with Crazy Dave to fend off several fun-dead invasions! 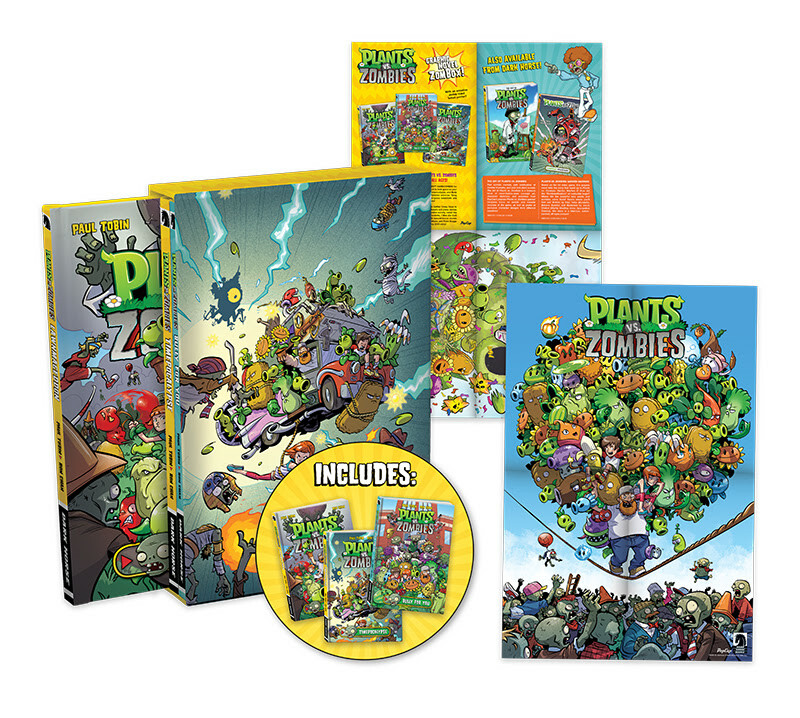 This deluxe boxed set includes Plants vs. Zombies Volume 1: Lawnmageddon, Plants vs. Zombies Volume 2: Timepocalypse, Plants vs. Zombies Volume 3: Bully for You, and an exclusive Plants vs. Zombies double-sided poster! In fall 2014, Dark Horse announced record sales of over 500,000 copies of Plants vs. Zombies books following multiple sold-out print runs! Tobin (Bandette) and Chan (The Guild, Husbands) take readers on original Plants vs. Zombies escapades that’ll charm the young, the old, and Crazy Dave, too! The Plants vs. Zombies Boxed Set hits comic shops October 14 and bookstores November 3. Preorder your copy today at your local comic shop or through these fine retailers: Amazon, Barnes and Noble and, IndieBound.